Rohit Shetty directs Ajay Devgn and Kareena Kapoor Khan in Singham Returns would be an overstatement as he doesn’t do much directing but instead decides which corny dialogue to be delivered in the worst possible way by which of his comically stereotyped characters along with which of India’s social woes as the background. Not having seen the 2011 blockbuster Singham, but having heard rave reviews about the same and also having been recently enjoyed the guilt trip that was Kick I decided to give this one a try. Very few movies have the ability to make me feel physically sick and Singham Returns manages to do just that. The only actor not hamming it is Anupam Kher who decides very early on that this is too messy even for him to be a part of and decides to off himself. 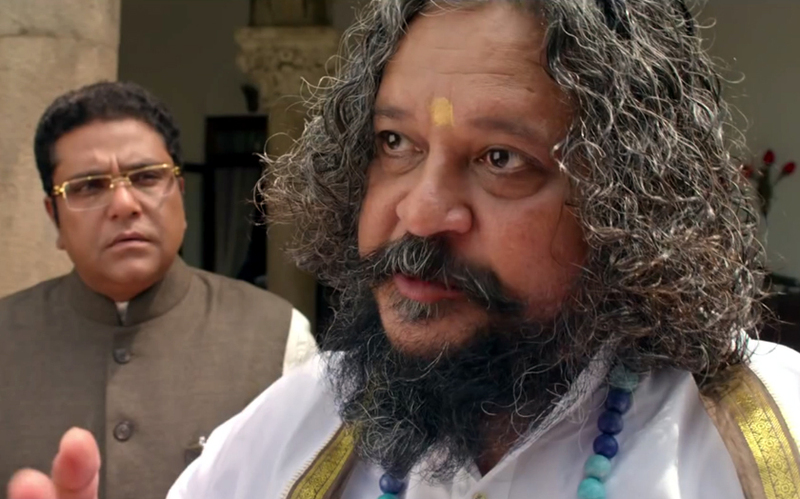 Amol Gupte who is quickly losing all credibility as an actor (and a director) plays a nirmal-baba like character who needs a few laxatives thrown in with his mugs of beer because he seems severely constipated while trying to deliver lines that give Anu Malik’s shayaris a run for its money in terms of how badly constructed they are. Zakir Hussain as Prakash Rao is ridiculously caricatured politician who verbalizes every thought that crosses the peas in his head that he calls brain. Ashwini Kalsekar as the Barkha Dutt wannabe journo with a penchant for being as loud and intolerable as Arnab Goswami has more of a role to play in the movie than Kareena Kapoor Khan but is in equal parts annoying. Speaking of Kareena Kapoor Khan the superstar who can only be afforded by masala blockbusters; she has played the same annoying character in numerous other outings and the results are entirely banal. KKK (if your brain grey matter is the racial minority then Kareena Kapoor Khan is the violent assault on it) has lost the size zero look, the pout and all semblance of being a perfect bimbo which is what got her so far – she literally has nothing going for her here – might as well retire to the Pataudi Palace. Ajay Devgn shows signs of being a tolerable actor when he looks all grim and speaks minimally but then loses all his marbles the minute he has to do his signature “aata maazi satakli” and other moves. He is ridiculous. Mahesh Manjarekar does the impossible – in this ham-fest he rises above and refuses to ham and comes off looking as the better actor amongst all. The only redemption to be found is towards the end where Dayanand Shetty AKA Daya-the-darwaza-todoing-expert is asked to break the doors down – I’ll admit I clapped. The one news item he misses out on is that of sexual assault – but he achieves that by assaulting the audiences’ intelligence in the most horrific of ways. I cannot emphasize strongly enough that there is absolutely no reason why you should want to go watch this movie. There is nothing to be gained by subjecting yourselves to such an unevolved attempt at movie making. If you need alternative ways to kill time consider these : watch kick instead, watch CID on TV Daya breaks more doors there, Knit – winter’s coming or at least it feels so here.